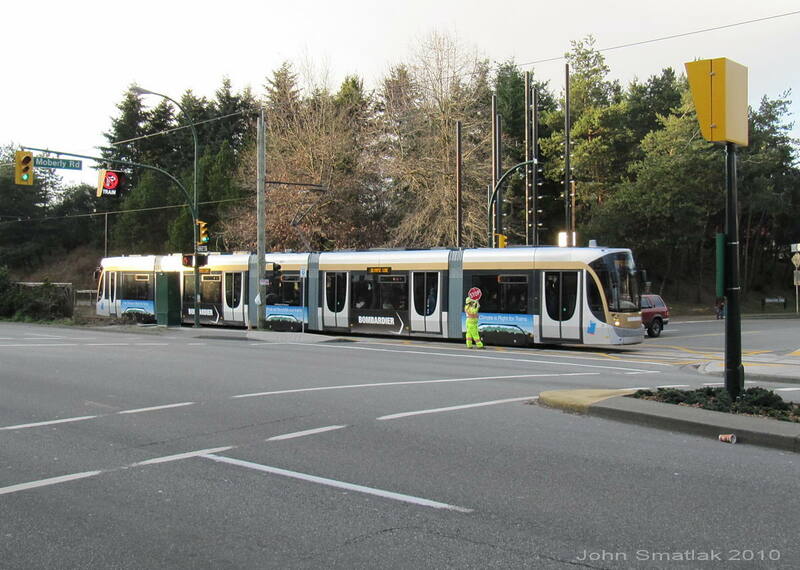 Vancouver’s Olympic Line was a 1.1 mile (1.8 km) demonstration streetcar line in operation during the 2010 Winter Olympics. 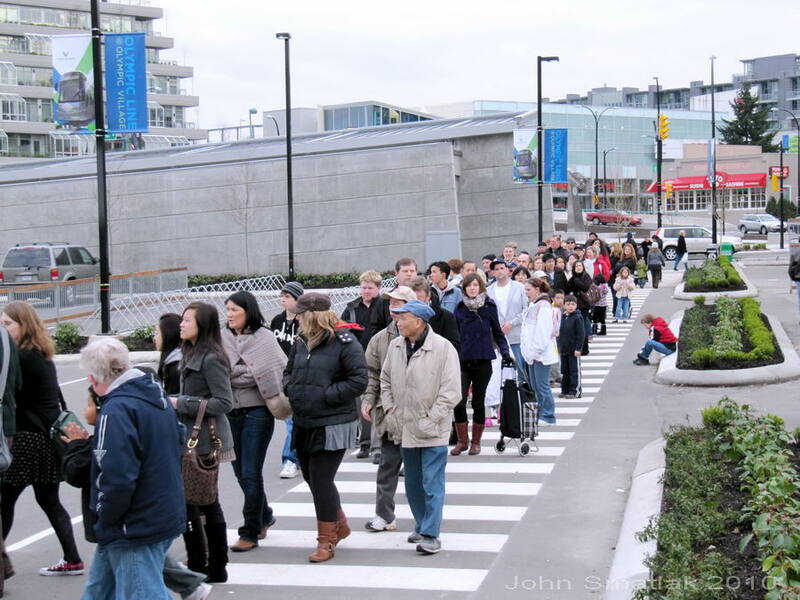 The line connected Granville Island to the Sky Train Olympic Village station. 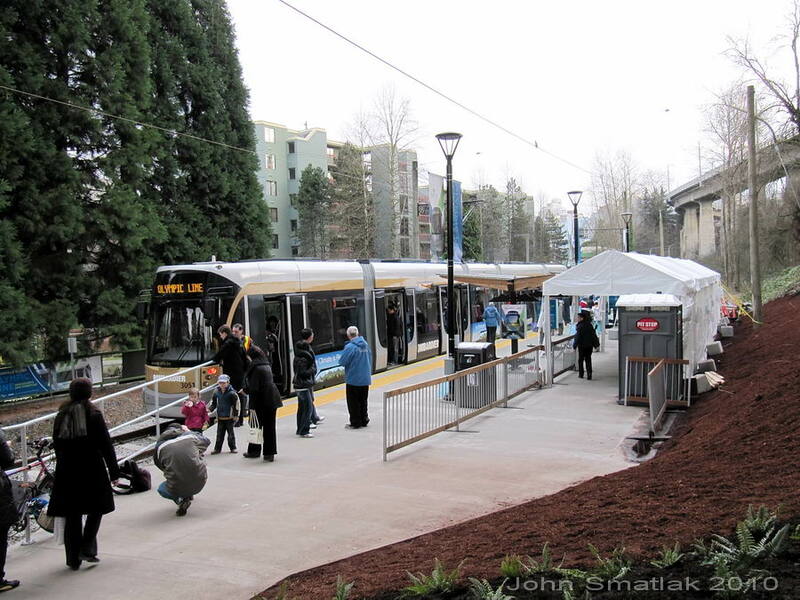 The line operated over a portion of the Downtown Historic Trolley right-of-way, newly upgraded to accommodate the new operation. 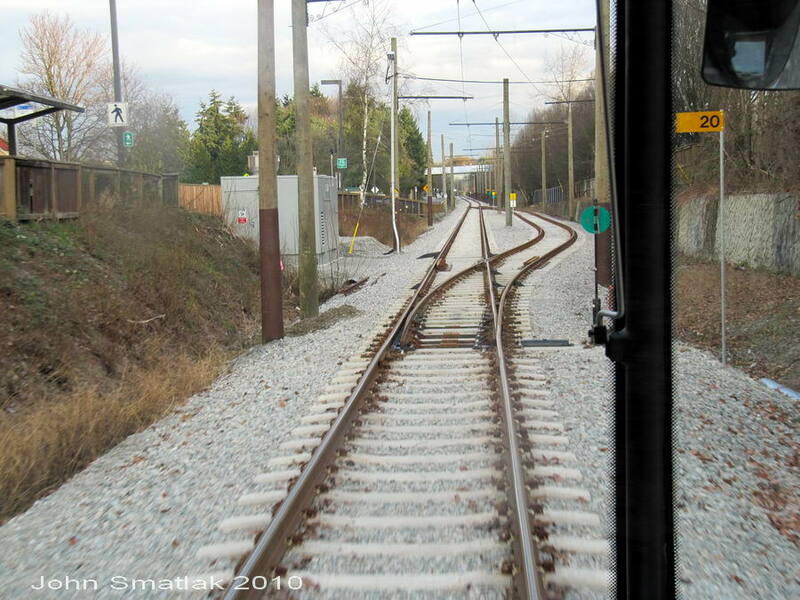 The line consisted of approximately one mile of single track with a mid-point passing siding. There were no intermediate stations, the line simply serving as a high-capacity shuttle between the two locations. Operations was 18 hours a day, seven days a week, with a six minute headway. 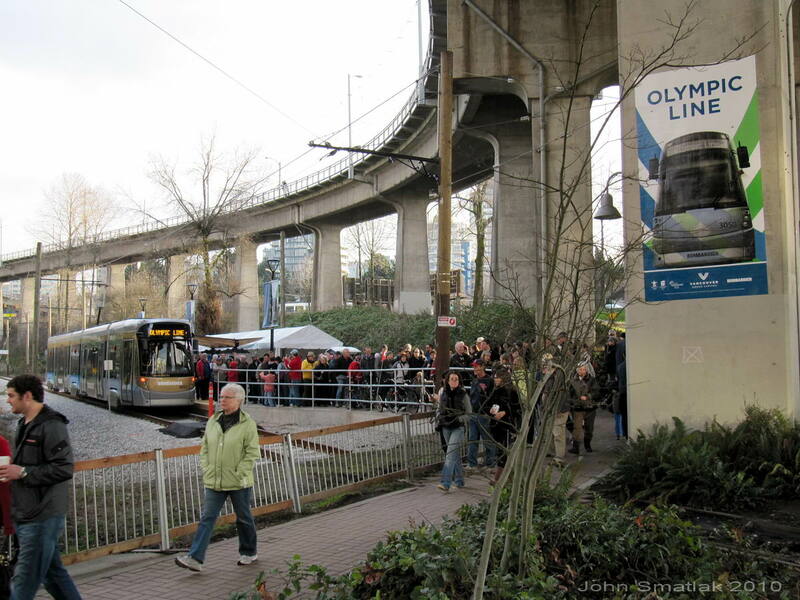 The line was but one part of an elaborate multi-modal transportation plan put in place during the games. 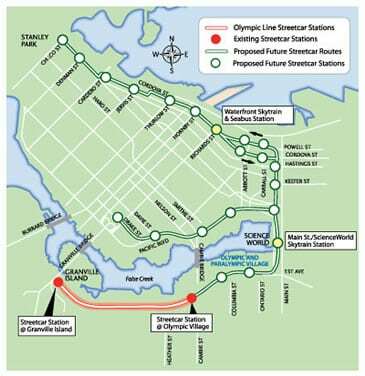 The Olympic Line demonstration was intended to build interest in the 10 km of streetcar routes that have been approved by the Vancouver City Council. Preliminary Engineering and Design are already underway for the first 3 km line, which will include the recently upgrading trackage being used for the Olympic Line. 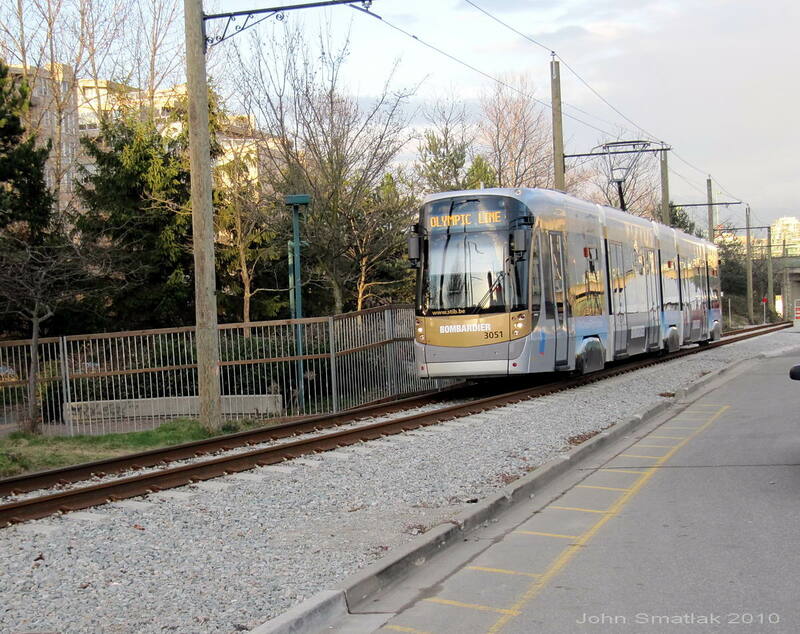 A pair of Bombardier Flexity streetcars were borrowed from Brussels, Belgium for the two-month demonstration. 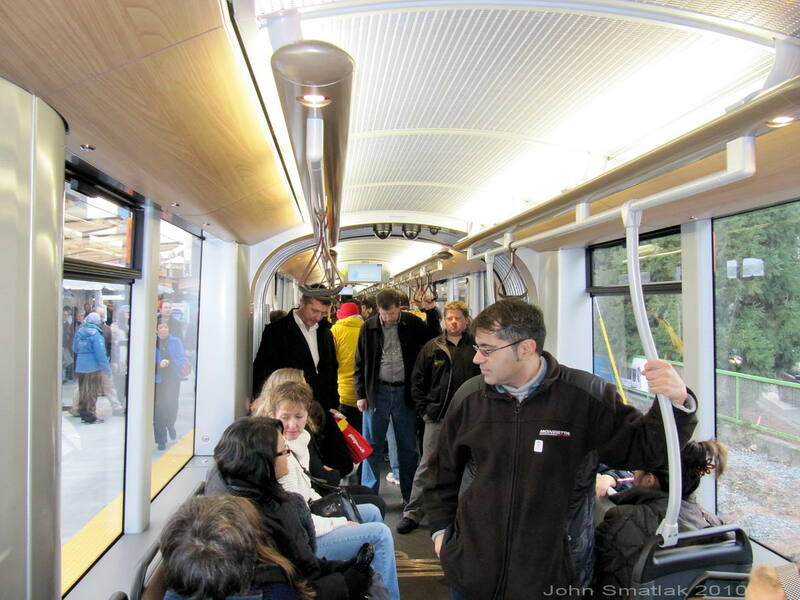 The 100% low-floor streetcars are 105 feet (32 meters) long, and consist of five modules supported on three trucks. 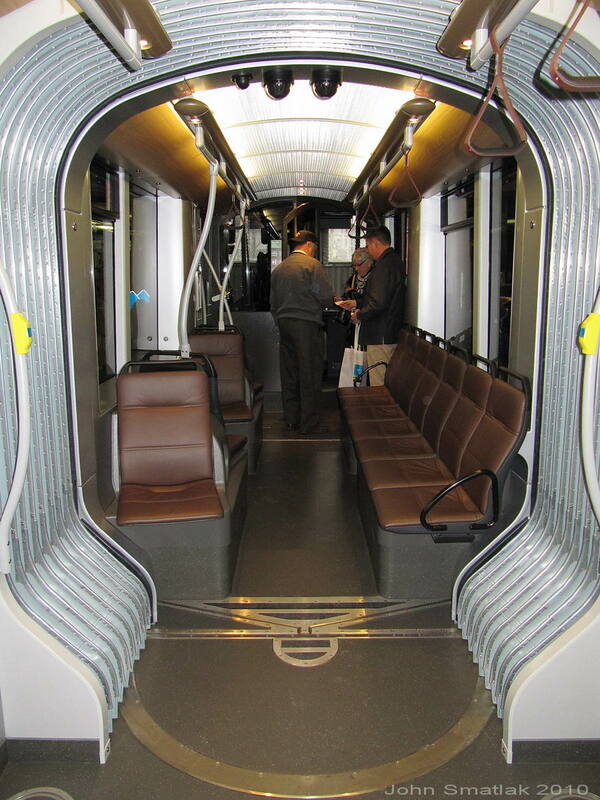 As seen in the pictures below, the attractively styled cars are quite comfortable and have been a real hit with riders. When the games concluded the cars returned to Brussels, and operation of the Downtown Historic Railway resumed. 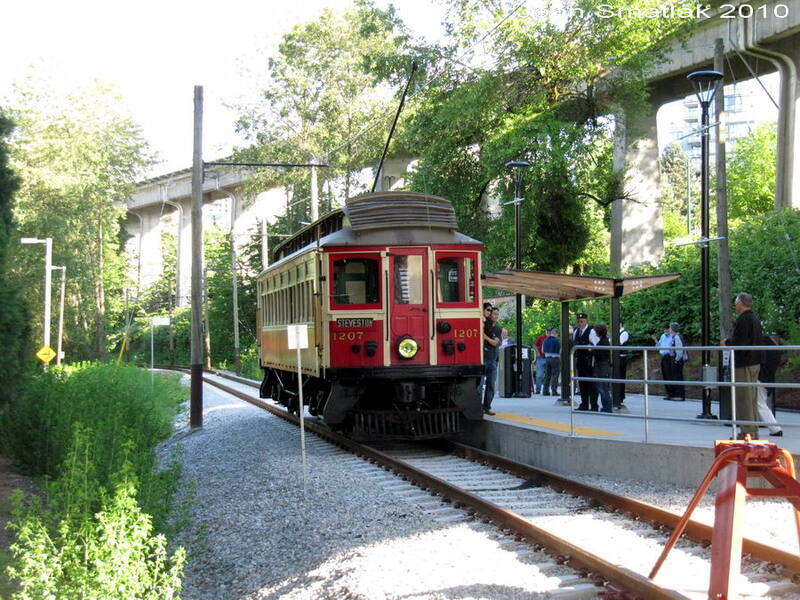 The trolley operations keep the track active while development continues on Vancouver’s first permanent streetcar route. 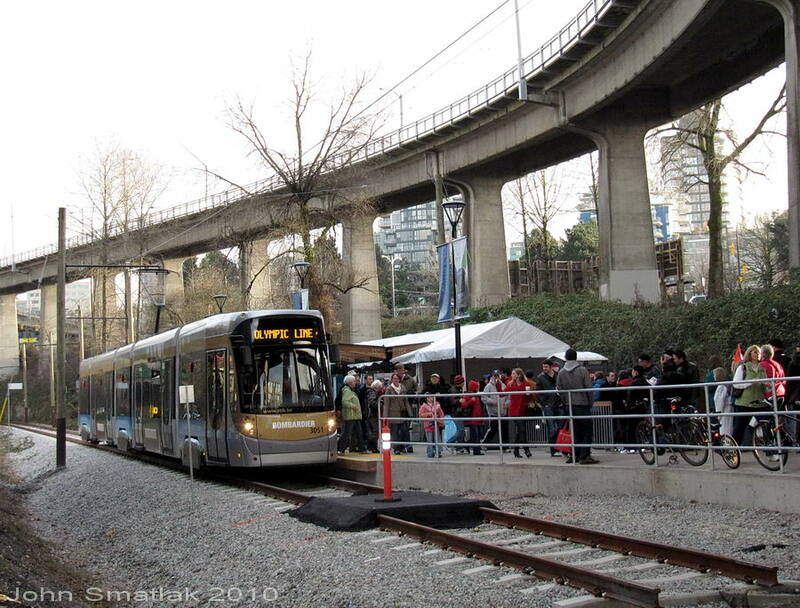 At the east end terminus which provides a connection to the SkyTrain rapid transit system. destination and a key entertainment center for the Olympic games. 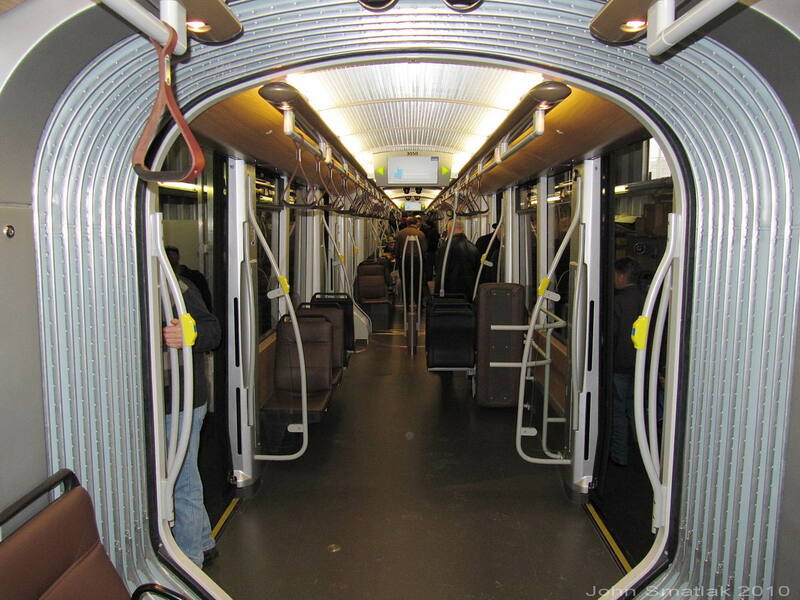 from Brussels is 2.3 meters (7 feet-6 inch) wide, making them noticeably narrower than typical US Light Rail vehicles. 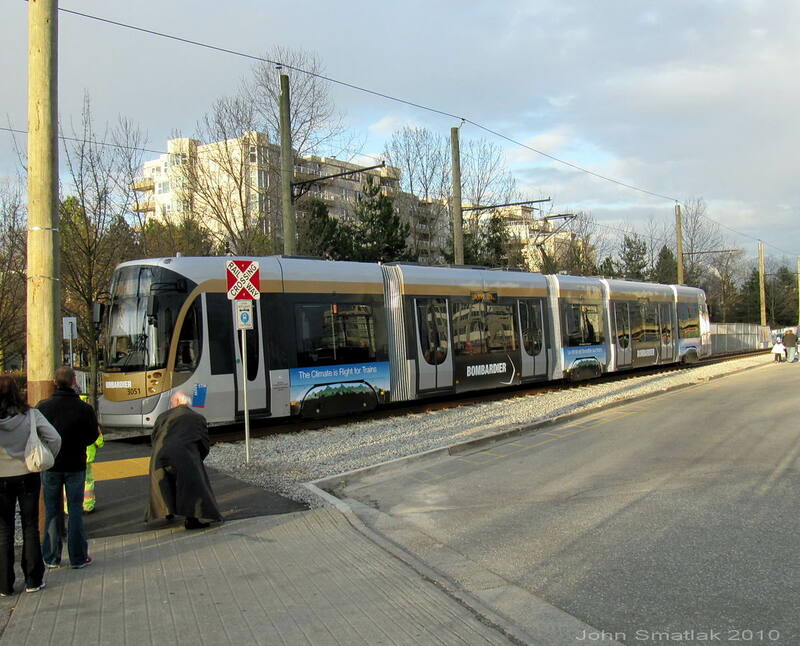 However, the modular Flexity is also available in 2400 mm (7 feet-10 inch) and 2650 mm (8 feet – 8 inch) widths. 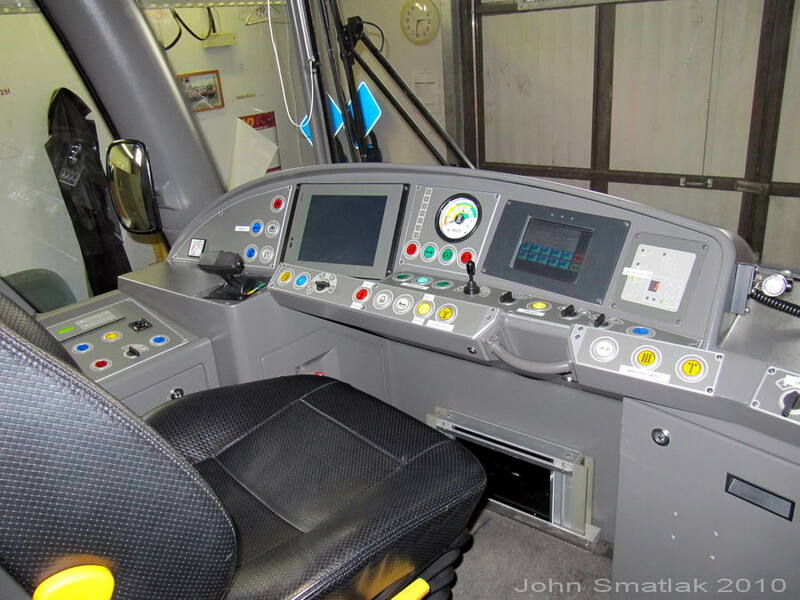 A view inside the operator’s cab. 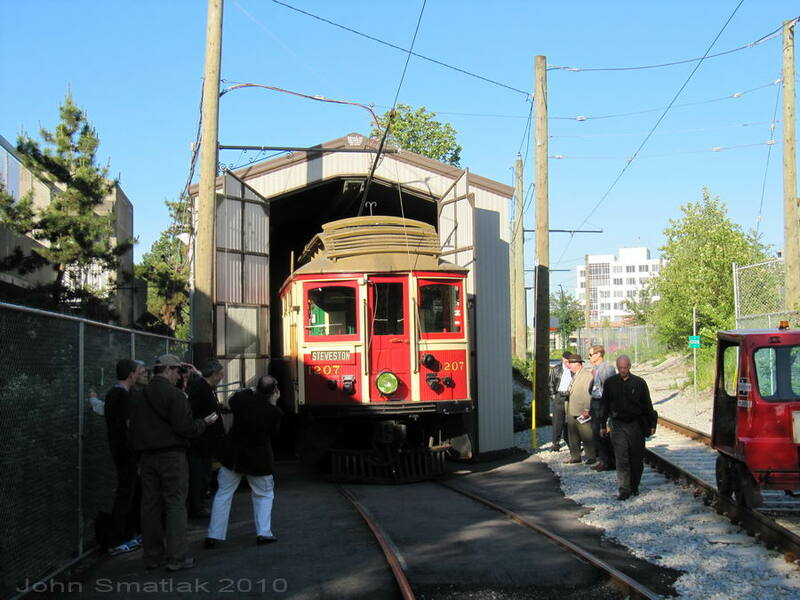 June 2010- Operation of Vancouver’s Downtown Historic Railway resumed on June 5, 2010 during the APTA 2010 Rail Transit Conference. 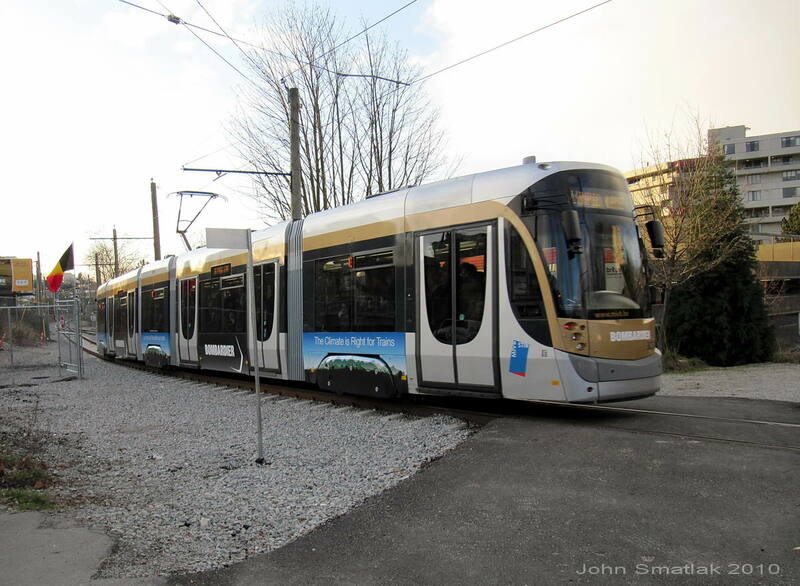 A special charter was conducted for the APTA Streetcar Subcommittee who were treated to a round trip on the line and an update from DHR volunteers. Regular operations are scheduled to resume in July. 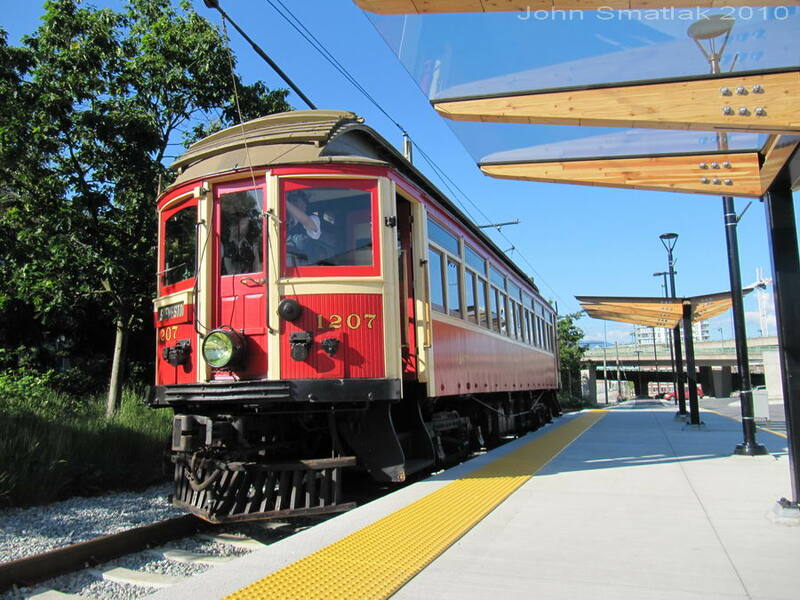 BC Electric Railway heritage cars are once again in operation on the Downtown Historic Railway. 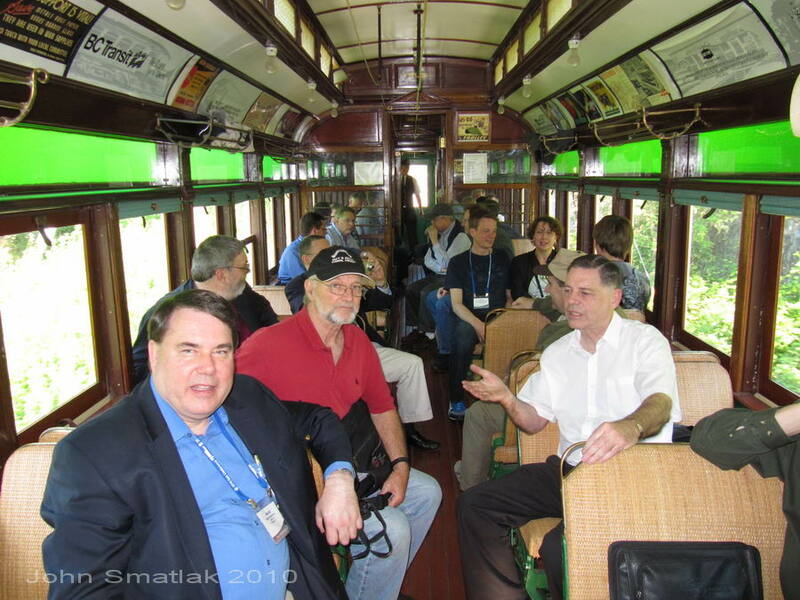 Passenger service was resumed with a special operation in June for the APTA Streetcar Subcommittee during the 2010 Rail Transit Conference.